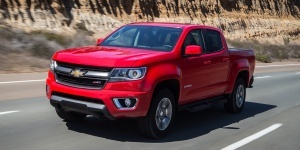 Available in Extended and Crew Cab styles, the Chevrolet Colorado comes powered by 4-cyl. and V6 engines with up to 305 hp. AWD is optional, as is a smaller cargo box on Crew Cab models. 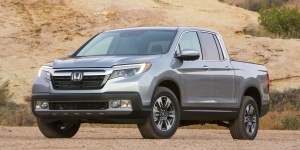 The Honda Ridgeline is an innovative pickup featuring bold looks, excellent build quality, composed handling due to an independent rear suspension, and a spacious Crew Cab interior. 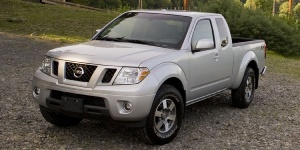 Powered by a choice of four- and six-cylinder engines, the Nissan Frontier comes in extended King Cab and Crew Cab bodystyles and features a wide variety of trim levels. AWD is an option. 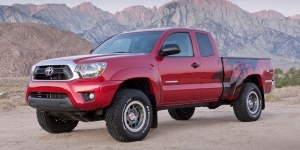 Powered by a choice of 4-cylinder and V6 engines, the Toyota Tacoma is available in two bodystyles with seating for up to five. AWD is an option.